This 4-3/4” long coupling is designed to connect to tubes with a 3-1/8” and 3” diameter. 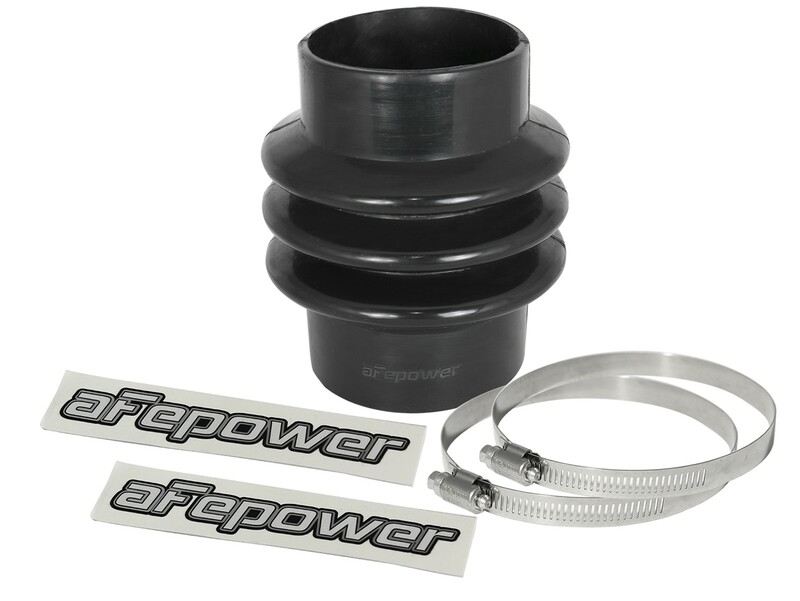 It’s commonly used on aFe POWER cold air intake systems, but can be used for a variety of projects. Its bellows design is extremely flexible, making it easy to install, even when dealing with misaligned tubes. It allows for ample expansion, movement and vibration in-between two hard pipes. Not for use on pressurized side of supercharged or turbocharged applications. Direct Replacement for P/N 05-01409.